One summer day, my friends and I were sitting around talking about our pets. How much we love them. The tricks we’ve taught them. How silly they are when playing with their favorite toys. What they like to eat. Their can’t-resist treats. You know, pet lovers’ talk. We all agreed that it’s far too expensive to try out the latest and greatest pet products, treats and toys. And, even though we look for the highest quality premium products, we were all frustrated because it’s so hard to find them in retail stores and even online. This is such a cute idea! I love spoiling my 2 cats and what better way than getting them a monthly subscription to Pet Giftbox! 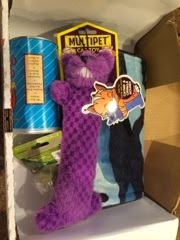 In the box was a Multipet catnip & crinkle sound cat toy, a Pawbreakers organic catnip candy & vitamin ball, Kitty Kaviar cat treats, and a 20"X30" U.S Army Pet Throw. My cats love the Multipet cat toy and the Pawbreakers cat nip ball, but what cat doesn't like catnip. The Kaviar cat treats were a hit as well. After all the playing and kitty treats the pet throw became the perfect place for my kitties to take a nap. I love that I was able to use everything in the box and that my kitties really enjoyed everything. Use code Bella and receive 25% off your first box!!! 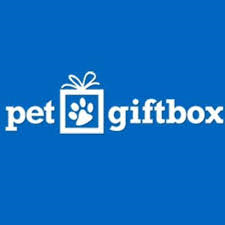 Follow Pet Giftbox on social media!